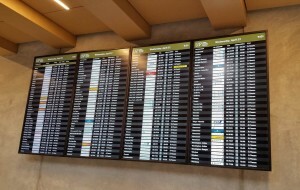 Flyte Systems announced it was selected as a launch partner to provide customized FlyteBoards with real-time airline flight information for Toronto Pearson International Airport at Toronto’s Union Pearson Express Station. Flyte Systems will also deliver English and Canadian French flight information content for displays mounted onboard airport-bound trains, and synchronized with mobile and desktop websites. The official opening of the rail line serving guests traveling to the Toronto 2015 Pan Am Games is June 6. Kent Toney, Flyte Systems’ president said, “Flyte Systems is proud to be a launch partner that provides customized FlyteBoards with real-time flight information for Toronto Union Pearson Express Rail to and from Pearson International Airport. Our multi-lingual displays will also aid travelers at Union Station in Toronto.” Flyte Systems worked with Union Pearson Express throughout the run-up to Toronto’s Pan Am Games. 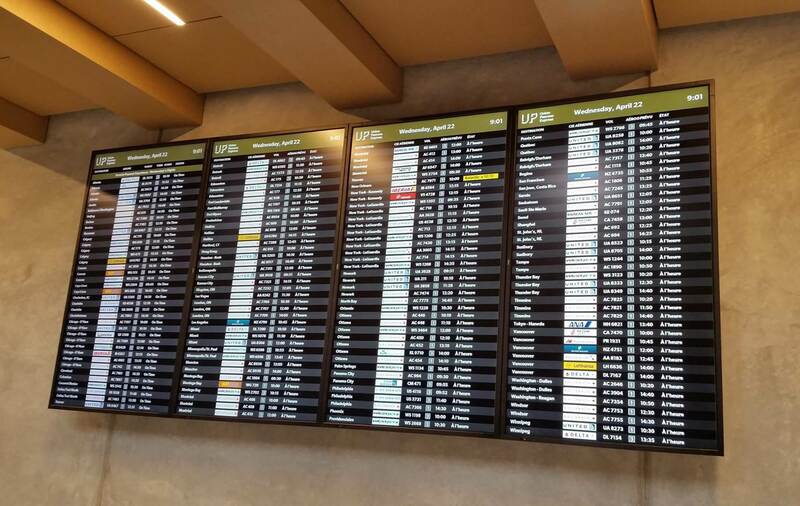 It designed, customized and implemented FlyteBoard airport schedule displays with airline logos, colors and specialized page formats. Flyte Systems provides full turnkey solutions and display-ready content that optimizes client resources.